"One of the best online games have hit the shores of Australia but are we ready for the next wave of online gaming? Dark Age of Camelot is the next generation of multiplayer online role-playing games (MMORPG) that lets you play with thousands of players world wide simultaneously in a beautiful world of 3D graphics. 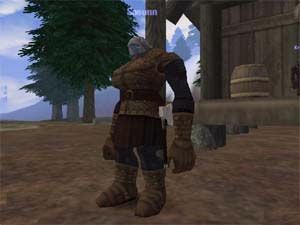 One of the first online games was based on the Dungeons & Dragons universe and was called MUD, which stands for Multi User Dungeon. This game allowed up to 100 players to play this text-based computer game and funnily enough, it's still quite popular today. Since then, MMORPG gaming has erupted on the internet and there are now dozens of games that you can choose from. Most games now support internet play but there are only a few games that actually have dedicated servers that allow thousands of players to play in a single world. This is where Dark Age of Camelot shines because it has various dedicated servers around the world. Fortunately for Australians, we are now part of the growing world of Camelot and Mythic Entertainment and Vivendi Universal Games now have a server for Australian, New Zealand and South African players. Dark Age of Camelot is set after the death of King Arthur who once held together the three realms of Albion, Hibernia and Midgard. With Arthur dead, an uneasy peace now exists but unfortunately the world is once again threatened by dark evils that were kept at bay while Arthur was still king. Whichever realm you choose to play, your enemies will either be the monsters in the game or players from different realms. The game revolves heavily around Arthurian, Celtic and Viking mythology. Thus gamers that can appreciate history and the mythical world are in for a treat. The people of Albion (based on Arthurian legend) are humans who have originated from various places such as Britons of Camelot or the noble Avalonians of Avalon. Midgard is based of Norse Mythology and you can select a variety of different races such as the Norsemen, Dwarves and Trolls. The last realm is called Hibernia that is based on Celtic mythology and players can select from a wide variety of races such as the Celts, Elves or Firbolgs. Once you have logged onto the Dark Age of Camelot server, you must select a realm that your character will reside in. Once you have selected the appropriate realm, you must create your character. As with most good RPG's, you can select a variety of character heights, hair colours and facial features. You must also allocate certain points to your statistics such as strength, constitution, dexterity, quickness, intelligence, piety and charisma. By combining these statistics, you can then create the character class you wish to play. Once you have selected your base character, you must reach level 5 before you can specialise your character. For example, if you select a human fighter from the land of Briton, you can then specialize this character (join a guild) and turn them into either a Armsman, Mercenary or Paladin. Certain characters are only limited to one guild with others having a choice of up to 3 different guilds. The gameplay is extremely easy to learn and you must basically defeat monsters in order for your character to progress. This can either be done through melee, archery or by using the ancient magic's that flow through your world. The gaming interface is split into two windows that displays your battles and game messages while the other window is used to chat with other player characters and non-player characters. There are a number of macros you can set up for the game that allow for quick access to spells and potions. If you decide to join a group of adventurers, a new window will display your party members and show their hit points, mana points and whatever spells they have cast on them. Player characters also have the ability to summon pets such as Golems and skeletons to fight along side you in battles. There are literally thousands of quests in the game that can either be completed by yourself or by joining a party. Another impressive feature of the gameplay is that the playing environment of Dark Age of Camelot is amazingly huge but thankfully the boxed set comes with a very useful map that will make sure you don't get lost and die somewhere in the wilderness. 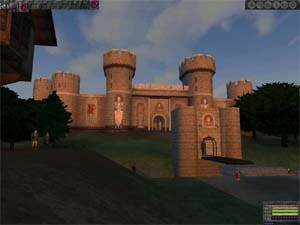 The graphics of Dark Age of Camelot are truly spectacular and are probably the best online gaming graphics on any game. As with most online gaming, the graphics must sometimes be limited in order for the game to run efficiently. The developers at Mythic Entertainment have done an extraordinary job at recreating this beautiful 3D online world that is highly detailed. The world is full of towns, trees, mountains, rivers and everything else you could imagine in a fantasy environment. Another impressive feature of Dark Age of Camelot is that just about everything in the world is interactive, you can hide between trees, enter dark dungeons or majestic castles. Unlike one or two level cities, sometimes the cities tower over you and you will be amazed at how lifelike this fantasy world truly is. 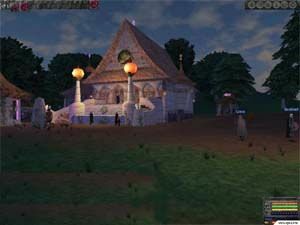 The game also features various effects that change as the day progresses, for example, the game is set in a 24 hour world but obviously moves much faster in this fantasy world. There are various weather effects that range from strange mists to ominous dark storms. The character models of the game are highly detailed and feature a fairly high polygon count that adds to the realism of the game. Characters are so detailed that you can actually see different textures on all the characters, such as leather armour or the fur of a werewolf. Apart from the highly animated characters, there are a variety of magical effects that can only be considered as pure eye candy. From the beautiful graphics to the awesome gameplay, the developers have not forgotten that sound and music that are also a vital part of gaming. The game has some very impressive sound effects that sometimes actually scare the living day lights out of you when, especially if you are venturing into an unknown territory. From the grunts of monsters, to the clash of steel and the powerful forces of long lost magic, to background ambience, everything is perfect. The ingame music is quite soothing and also helps set a role playing atmosphere of classic mood music. Is Australia ready for the next wave of online gaming? This serious question could be the downfall of online gaming in Australia. The reason being is that most people own a 56k modem and if your internet connection is slow, than this game may suffer. The most common problem with most online games is that they suffer from lag, which means your internet connection is suffering from too many people using your ISP. 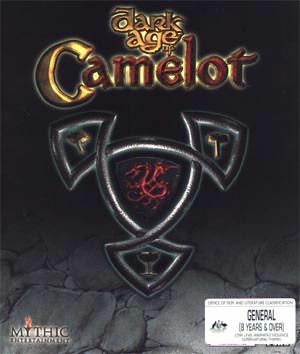 The Dark Age of Camelot ran extremely good on a 56k modem but during peak times in Australia, the game does suffer from performance which can become extremely frustrating if you are in the middle of a battle. If you are one of the lucky ones to own a ADSL or a Cable connection, then I would highly recommended this game to you because it's one of the best MMORPG's that I have played. Brilliant graphics, great gameplay and an intriguing storyline that cannot be matched. Better check this one out!